. We launched this feature earlier this year to help you reconnect with your site visitors in relevant ways. Remarketing with Google Analytics lets you show ads to website visitors who have shown an interest in your site as they browse other sites on the Google Display Network (GDN). So you can reach the right audience with the right message at the right time. Any quick tips for getting started? Yes, our help center includes a great guide with everything you need to know to get started. Is there a limit on the number of lists that you can create in your Google Analytics account? No! We want to encourage you to create as many lists as you need to run an effective remarketing campaign. How should I set “membership duration” for my lists? The default membership duration is 30 days, but we recommend choosing a duration related to the length of time you expect your ad to be relevant to the user. Learn more about membership duration in this article in the AdWords Help Center. How can remarketing lists in Google Analytics be edited or deleted? It’s easy to edit existing lists by clicking on the name of the list in the main table. Visitors who have already been added to the list will be removed from the list when the list duration for those visitors expires. Both AdWords and Analytics save lists for historical campaign reporting purposes, so it’s not currently possible to delete lists -- but often you can simply edit your old lists so they continue to be useful. That said, we are looking into ways to provide better controls for managing lists that are no longer in use such as providing ways to hide or archive old or unused lists. Can you use Google Tag Manager with Remarketing with Google Analytics? Yes! Google Tag Manager fully supports Remarketing with Google Analytics. When you are setting up your “Google Analytics” tag templates in the Google Tag Manager User Interface, you can choose to enable the “Add Display Advertiser Support” check box-- this will make all the tagging changes necessary to use Remarketing with Google Analytics. Can you share lists between Google Analytics profiles? What about across different AdWords accounts? When you create a remarketing list in Google Analytics, you must choose to base it off of a single, specific Profile (a Google Analytics Profile determines which data from your site appears in the reports; it may, for example, include filters to eliminate traffic from internal users). If you want to create a list that’s based off of two profiles, you must create that list twice -- once for each Profile. Similarly for AdWords accounts, if you want to share a list with more than one account, you must create the list once for each account you want to share it with. Do you have examples of remarketing lists I might consider creating with Google Analytics? Yes, you can find some examples in the webinar video and in on our product fact sheet, and we’re working on providing more examples and tips. Stay tuned! We hope you found this webinar useful -- and that you go start creating your first remarketing lists using Google Analytics now. Last Wednesday we held a webinar on Remarketing with Google Analytics. We launched this feature earlier this year to help you reconnect with your site visitors in relevant ways. Remarketing with Google Analytics lets you show ads to website visitors who have shown an interest in your site as they browse other sites on the Google Display Network (GDN). So you can reach the right audience with the right message at the right time. is a connected data platform that enables business operators from companies of all sizes to visualize their mission-critical data through one centralized location. Users of SumAll can extract insights across datasets by combining and analyzing the metrics that matter most to them. “Put simply, our vision is to democratize information by making it beautiful, affordable and accessible to all. In doing so, the visibility and insights that SumAll brings enables business operators to turn data into dollars,” says Catherine Gluckstein, President of SumAll. One of SumAll’s customers was having a very difficult time making sense of his eCommerce, Google Analytics and social media data. He knew there was a story to be told about how each was influencing the other, but being a small business owner, he lacked the resources to dive too far into them himself. He decided to give SumAll a try and within a few minutes and even fewer clicks, was able to integrate all of his key data and view it in one uniform dashboard without having to work with his developers. For the first time, he was able to see what was happening across his business and understand the relationship between his social media posts, web traffic and transactions. This made him more comfortable continuing to invest his limited resources in social media because, for the first time, he could see that it was working. SumAll is free to try and is incredibly intuitive and straightforward to set-up. Sign-Up today to break down the silos around your data and empower your business’ data-driven decisions today. John is a Developer Program Manager working to build the ecosystem around the Google Analytics APIs. In his spare time he likes to explore San Francisco and cheer loudly during UCLA games. Businesses collect and rely on data that exists in silos across the web - from site analytics to inventory numbers, social media to sales data, there’s more important data available today than most are able to aggregate and analyze themselves. SumAll is a connected data platform that enables business operators from companies of all sizes to visualize their mission-critical data through one centralized location. Users of SumAll can extract insights across datasets by combining and analyzing the metrics that matter most to them. “Put simply, our vision is to democratize information by making it beautiful, affordable and accessible to all. In doing so, the visibility and insights that SumAll brings enables business operators to turn data into dollars,” says Catherine Gluckstein, President of SumAll. Google Analytics in Real Life: What would your customer experience look like? Always make sure your landing pages meet your users' expectations. Be sure your ad text leads visitors to a page that matches what was featured in the ad. Here is a helpful article on ways to improve the performance of your landing pages. How can it be so challenging to find your favorite type of milk? A search box can be a goldmine of information because each time visitors search your site, they tell you in their own words what they are looking for. Here is an article on insights available from your Google Analytics Site Search reports to learn what your visitors want so you can improve your website to better meet those needs. When do visitors check out from your online buying process? Are there some product pages that consistently send higher traffic through your shopping cart than others? See if there are differences between the page designs that might be driving the difference in traffic volume. Do the better performing pages offer more information about their products, more customer reviews, explain shipping options or provide more options for visualizing the products before adding them to the shopping cart? The Google Analytics goal flow visualization can help to identify these better performing pages to repeat their success. We hope this helps you to find more way to use Google Analytics to make your customers' lives easier, and generate more happy and loyal customers for you - now that’s a holiday present worth giving. With the holiday shopping season in full swing, it’s important to ensure your website and digital marketing are running on all cylinders. Your potential customers should be able to find what they need on the digital shelf as easily as in real life. Sadly, many sites leave visitors frustrated - losing potential customers. However, the advantage of your online storefront is that you can understand where you’re losing customers and work to improve your shopping experience. For the holiday season, our team at Google Analytics thought it would be helpful (and fun) to demonstrate how missteps on the digital shelf play out in real life. Ellie is the Director of Product Marketing at Tableau Software, responsible for new product launch, industry solutions and Tableau's community. Her data geek credentials come from time served in technology and finance companies. She works with people from all over the world who are trying to tell stories with data, from journalists to hospitals to high tech companies. Over at Tableau Software we’re big Google Analytics users. 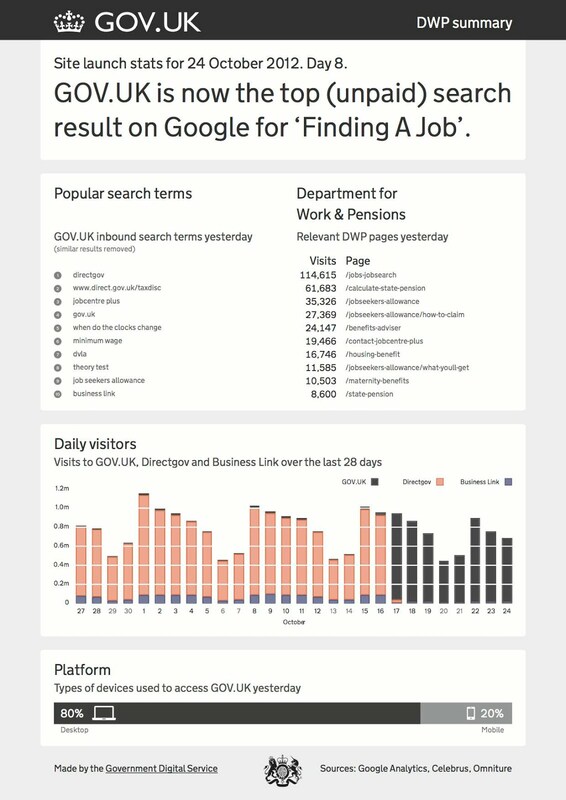 That’s why we got so excited for Tableau’s new Google Analytics connector, which uses the GA API to pull data right into Tableau. If you don’t know Tableau, consider checking it out today. 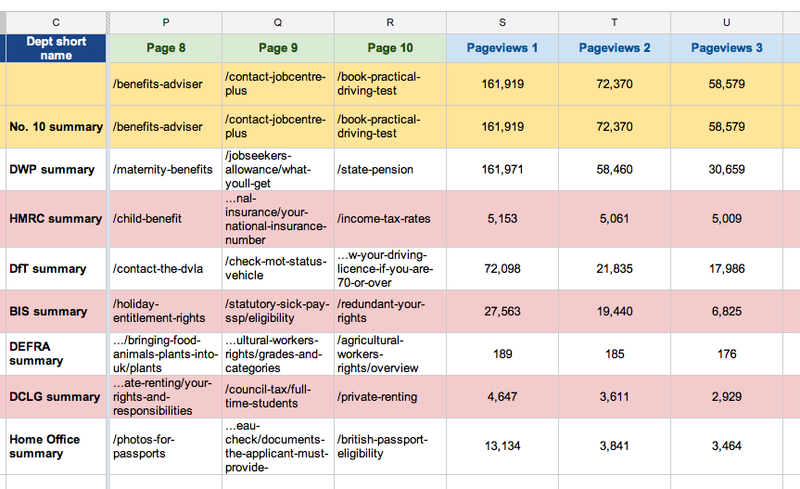 It’s a useful, new way of working with data: you simply drag & drop to create sophisticated analyses. Anyone can create powerful dashboards without needing to know programming or be a specialist. Tableau was spun out of Stanford about 8 years ago, and it’s the technology developed there—a visual interface into data—that makes Tableau different. You might have noticed one special feature in there: the ability to blend Google Analytics data with other data, like data in Excel or a database. This opens up a whole new world of insight. Your website is a great asset, and of course it doesn’t work alone. Mashing up web data with offline data, demographics and more tells you more about what’s working and what’s not. This is just a preview of the Google Analytics connector. It’ll be in beta very soon. If you’re a customer you can join the v8 beta when it comes out. If you’re not yet using Tableau, try it out (for free). The following is a guest post from Ellie Fields. Ellie is the Director of Product Marketing at Tableau Software, responsible for new product launch, industry solutions and Tableau's community. Her data geek credentials come from time served in technology and finance companies. She works with people from all over the world who are trying to tell stories with data, from journalists to hospitals to high tech companies. One of the most complex challenges that marketers face is managing the effective segmentation of their user base. Each of their target audiences has a different set of preferences and the process of creating campaigns based on intuition just isn't effective. UserReport is an on-site survey tool that integrates with Google Analytics and tackles this problem head-on. The product providing the ability to use demographic information and traditional research data to optimize acquisition, content and conversions when working with websites. UserReport helps its users collect information about their website’s visitors with a free online survey tool that measures usability and key demographics of the site’s users. The product integrates harmoniously with Google Analytics to turn the survey data they collect into actionable insights by merging it with the behavioral data already stored in Google Analytics. Men and women have about the same conversion rate, but the average basket size for women is almost $20 higher than it is for men. This made SAXO.com feel more comfortable in supporting a higher CPM/CPC to advertise to niche female audiences. SAXO.com’s older book buyers have a higher conversion rate than their younger counterparts but the younger buyers’ average basket size is about $40 more than the older users’. A closer investigation revealed that most of these young customers were students purchasing books for classes. This led SAXO.com to focus on targeting the university student market to bring more young buyers into the mix. The findings made by SAXO.com through integrating their Google Analytics data with their UserReport survey data has enabled them to create online campaigns focused on bundling unique, focused products and target them at the right customers on the right channels to drive conversions. UserReport is free to use and takes minutes to set up. Give it a try to see what you can uncover about your own online audience! to help better meet the needs of our enterprise users. In that time we’ve been happily surprised by the warm reception and how companies have been using Google Analytics Premium to look at data in a new way. Below is a case study from Gilt, on how Google Analytics Premium has spread the love of data across their company, they leveraged the increased number of custom variables to power their predictive modeling, and used unsampled data to remove uncertainty from test results. Gilt Groupe is an innovative online shopping destination offering its members special access to the most inspiring merchandise and experiences available. Gilt provides instant insider access to top designer brands at up to 60% off retail. Products span fashion, decor, artisanal ingredients, travel experiences, and unique activities in a growing list of cities. The bottom line for Gilt is that Google Analytics Premium has provided the ability to make better, faster data-driven decisions at every single level of the organization. Read the full case study. Google Analytics Premium provides enterprise level analytics with access to more data, flexibility and 24/7 support. The benefits of Premium are guaranteed SLA’s on data collection, reporting and processing times. Premium accounts also get an increase in the number of hits per month, an additional 50 custom variables, and access to unsampled data. Premium accounts also gain access to customer support including an implementation review, quality assurance, training, and a dedicated account manager. Google Analytics Premium is currently available in the United States, United Kingdom and Canada. Looking towards 2013 Google Analytics Premium will continue to expand our product and services to meet the variety of Analytics enterprise customer needs. We’ll soon be popping up in 7 more countries: Japan, Brazil, France, Germany, Netherlands, Italy and Spain. If you would like to learn more about Google Analytics Premium and how it can help your business, contact the Google Analytics sales team or one of our Google Analytics Premium Authorized Resellers. A little over a year ago we launched Google Analytics Premium to help better meet the needs of our enterprise users. In that time we’ve been happily surprised by the warm reception and how companies have been using Google Analytics Premium to look at data in a new way. Below is a case study from Gilt, on how Google Analytics Premium has spread the love of data across their company, they leveraged the increased number of custom variables to power their predictive modeling, and used unsampled data to remove uncertainty from test results. instead of copying-and-pasting code — and we’ve just made tagging even easier with several new built-in tag templates. Just add a few key details to the template, and Google Tag Manager will automatically generate the correct code. This is just the first wave of supported tags, and you can look forward to many more coming soon. If you have specific requests, we’d love to hear them in our Google Tag Manager Forum in the Feature Requests section. If you’re a tag vendor, and you’d like to get your tag supported in Google Tag Manager through the Tag Vendor Program, follow the instructions here to get started. And thanks to all of our partners for your support and involvement with Google Tag Manager! One of our favorite features of Google Tag Manager is the ability to add new tags to your site using a tag template instead of copying-and-pasting code — and we’ve just made tagging even easier with several new built-in tag templates. Just add a few key details to the template, and Google Tag Manager will automatically generate the correct code. 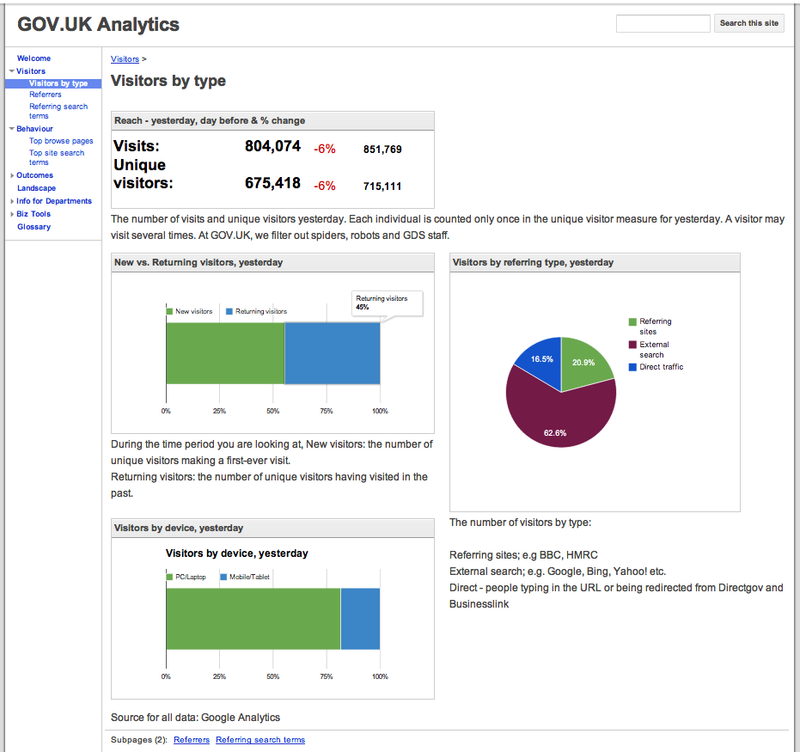 Recently, when we were preparing the launch of GOV.UK, my team was tasked with creating a series of high-level metrics reports which could be quickly compiled and presented to managers without technical or analytical backgrounds. These reports would be sent daily to ministers and senior civil servants of several government departments, with the data customised for each department. We decided to use Adobe InDesign to manage the visual appearance of the reports. InDesign’s data-merge functionality, which can automatically import external data into the layout, made it easy to create custom departmental reports. The challenge was to automate the data collection using the Google Analytics API, then organize the data in an appropriate format for InDesign’s importer. In a previous post on this blog, Nick Mihailovski introduced a tool which allows automation of Google Analytics Reporting using Google Apps Script. This seemed an ideal solution because the team only had basic developer knowledge, much of the data we needed was not accessible from the Google Analytics UI, and some of the data required specific formatting prior to being exported. 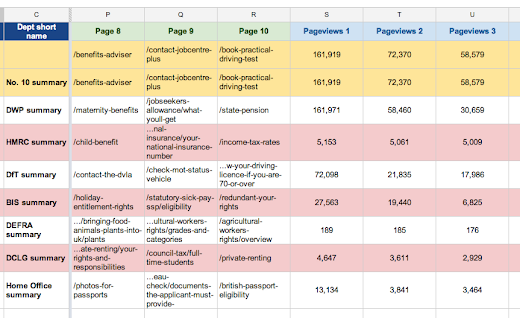 We started by building the core reports in a Google spreadsheet that pulls in all of the required raw data. Because we wanted to create daily reports, the start and end dates for our queries referenced a cell which defaulted to yesterday’s date [=(TODAY())-1]. // Make a request to the API. tableId,                  // Table id (format ga:xxxxxx). startDate,               // Start-date (format yyyy-MM-dd). endDate,                 // End-date (format yyyy-MM-dd). endDate,                 // Comma seperated list of metrics. Next, we created additional worksheets that referenced the raw data so that we could apply the first stage of formatting. 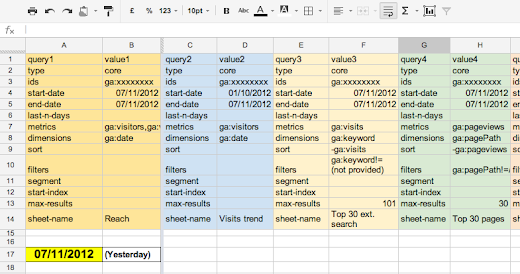 This is where storing the data in a spreadsheet really helps, as data formatting is not really possible in the Google Analytics UI. For example, the final report had a 47-character limit for page titles, so we restricted the cells in the spreadsheet to 44 characters and automatically truncated long URLs by appending “...”. Once the initial formatting was complete, we used formulas to copy the data into a summary sheet specially laid out so it could be exported as a CSV file that merges seamlessly into InDesign. Below is an example of how a report looks on publication. Nearly everything on the page was extracted from the API tool, including the department name and the day number. Because most of the data was automated, it required minimal effort on our part to assemble these reports each morning. We discovered that an added bonus of pulling data into a Google spreadsheet was that it also allowed us to publish the data to a Google site. 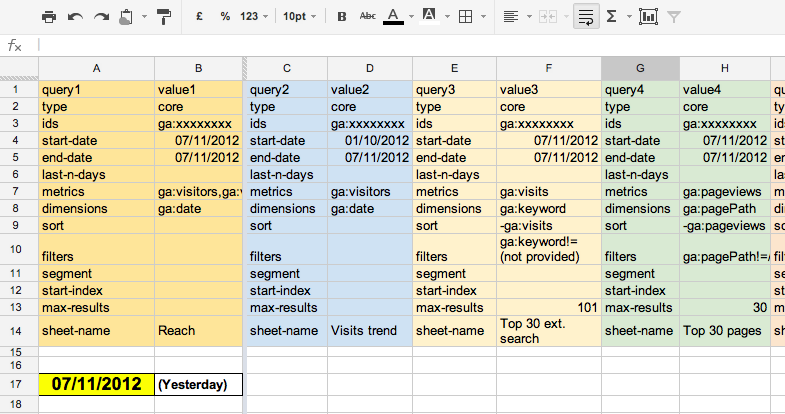 This helped us display data to stakeholders without adding lots of users to our Google Analytics account. 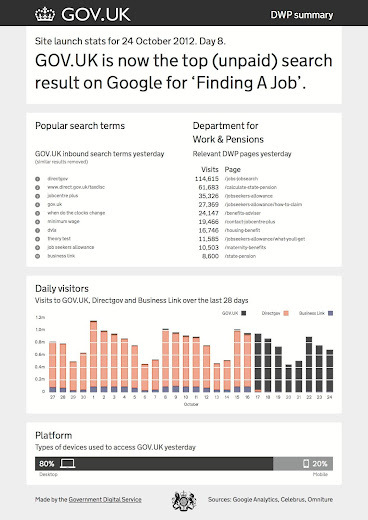 The tools let us present Google Analytics data in deeper, more creative ways. That’s really important as we share information with more and more non-technical people, whether they’re inside GDS or beyond. Guest author Ashraf Chohan works at the Government Digital Service (GDS), part of the UK Cabinet Office. Originally posted on the Google Apps Developer Blog by Arun Nagarajan. , a new way to take advantage of the data you have in Google Analytics and use it to improve your campaign performance. Remarketing lets you reconnect with site visitors and show them ads that are tailored to their interests across the Google Display Network. This makes ads on the web more relevant for consumers while helping to improve your advertising ROI. Join us next Wednesday, December 12, for an introductory webinar hosted by Product Manager Jesse Savage and Global Solutions Lead Rachel Witalec. This webinar is part of our recent Learn with Google series on Remarketing. We’ll cover the benefits of remarketing for your business, unique advantages of Remarketing with Google Analytics, sample use cases, and the key steps for getting started. Hope to see you at the webinar! This summer, we launched Remarketing with Google Analytics, a new way to take advantage of the data you have in Google Analytics and use it to improve your campaign performance. Remarketing lets you reconnect with site visitors and show them ads that are tailored to their interests across the Google Display Network. This makes ads on the web more relevant for consumers while helping to improve your advertising ROI.